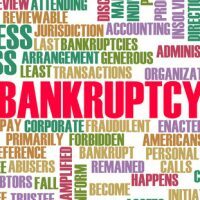 Can I Discharge a Court Judgment in a Bankruptcy? Bankruptcy is an efficient and quick way for Florida residents to wipe out most unsecured debt, like credit card debt or medical debt. But what about court judgments? If you lose a lawsuit, the court will enter judgment against you, which tells you how much money you need to pay to the person who sued you. Generally, you can discharge a court judgment, but there are exceptions. You might owe thousands of dollars in unpaid child support or alimony, and a judge can enter a judgment against you for your unpaid amounts (called “arrearages”). Unfortunately, these debts are not dischargeable, so any court judgment based on these debts is likewise not dischargeable. Instead, work on finding ways to save money or, if you have recently lost your job, contact a family law attorney for help modifying your child support or spousal support orders. Instead, you will need to find a way to cover these expenses. For example, you might need to sell property to cover unpaid taxes or else the government will put a lien on the property. You might be sued for assault, battery, or another intentional act. If so you, cannot use bankruptcy to eliminate the court judgment against you if the creditor files an objection. Instead, you will need to pay the court judgment. Furthermore, you absolutely cannot discharge a debt incurred if you were driving while intoxicated. For example, you might have slammed into someone and killed them or injured them. If the victim or their survivors bring a lawsuit against you and win, you cannot use bankruptcy to eliminate the court judgment. You can typically discharge all other types of court judgments, such as judgments for unpaid goods or services or for negligence lawsuits when you unintentionally injured someone. These are fairly common court judgments, so there is a very good chance you can get them wiped out in bankruptcy. Because the law surrounding discharge of court judgments is confusing, you should meet with a Florida bankruptcy attorney as soon as possible. At Nowack & Olson in Plantation, we help debtors seek a fresh financial start by beginning the bankruptcy process. We are happy to help you analyze your options, including whether you can use bankruptcy to relieve yourself of an adverse court judgment.